Now it's finally starting to look like something! And we're so close to finishing that the next post will be the final. In the meantime, there's something I'd like you to notice. It's the "Fighting Eagle" emblem on the air intake cover just below the WSO's seat. It's pretty cool that the logo is even there at all as it was actually designed in 1943. 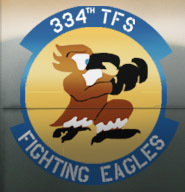 See, the 334th's unit lineage traces back to the 4th Fighter Group of WW2 and one of Walt Disney's artists created the emblem as part of the studio's "war effort." That's not so remarkable - Disney did a fair number of logos/mascots for military units fighting overseas. What IS remarkable is the fact that it persisted for so long. Well, at least in a fashion. Below are images of the original sketch and the period-correct versions. I mean no offense to the guy(s) who painted the later renderings but it's pretty clear something got lost in translation. One of the 334th guys joked about their version as, "The Puking Pigeon." I'm not here to criticize a guy's copying skills. Instead, this is a great opportunity to see how stuff can change over time. Kind of like how history gets reported, interpreted and passed on. There's a whole generation of people who's sole experience with the Vietnam War is through other people's interpretations. Of course, this is going to happen as people don't live forever. 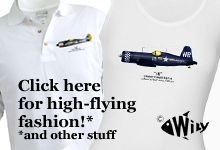 Last year, four WW2 fighter pilots I know took their "final flight," leaving their memories behind in the scattered minds of those who knew them. The originals are simply gone. I know a guy who lost his leg "over there" and I asked him how realistic the popular movies on Vietnam really were. He got a big kick out of my question - "You're going to learn about what I went through from a movie?!" The more I learn about Vietnam, the more I realize that the broad strokes painted for me by others are no more accurate than looking at a single still-frame image from a film. My buddy is right. For most, however, that's all they'll get - an entertaining moment about a conflict that spanned nearly 30 years! You've probably figured out that I think History needs to be a greater portion of our school's curriculum than it is now. 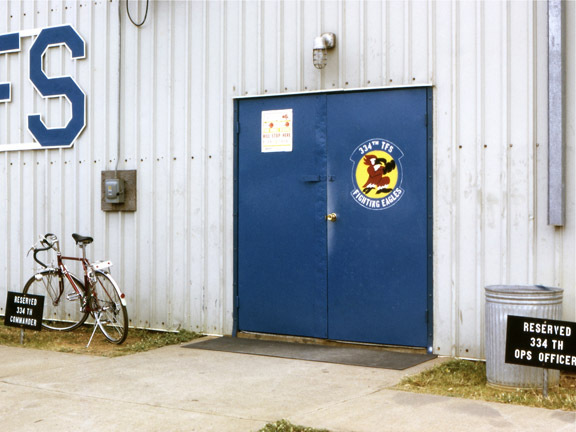 Anyway... back to the Eagle. 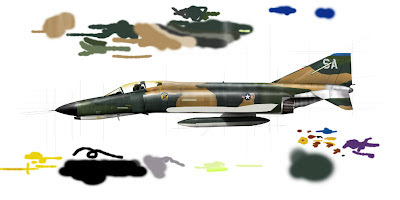 For the time being, however, the Vietnam War remains "new" to me - the equipment, the experiences...everything. I'm especially grateful for experiences like this one as now that I know more, I realize how little I knew then. Though there's an element of The Obvious in that statement, it's important because I don't want my sole history lesson to come from Hollywood. 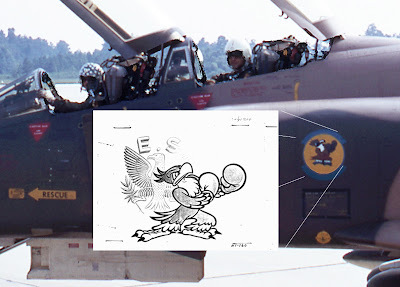 When I first started this F-4, and knew I had to render the Eagle, I noticed immediately the distance between its WW2 purity and cruder 1972 form - and of course, made all the ironic conclusions that you probably have, too. But I have to state this. I no longer look at the Eagle and see a logo. Nor do I see the changes in time and tide. Instead, I see squadron commander Colonel Crawford Shockley and the people he lovingly calls, "His boys." Come back for the final post, ok? It's an image of The Vietnam War you need to read. Disney image source: fourthfightergroup.com. Photographs courtesy Crawford Shockley, Chuck Coffman.